• 9 people like this. Do you like this? 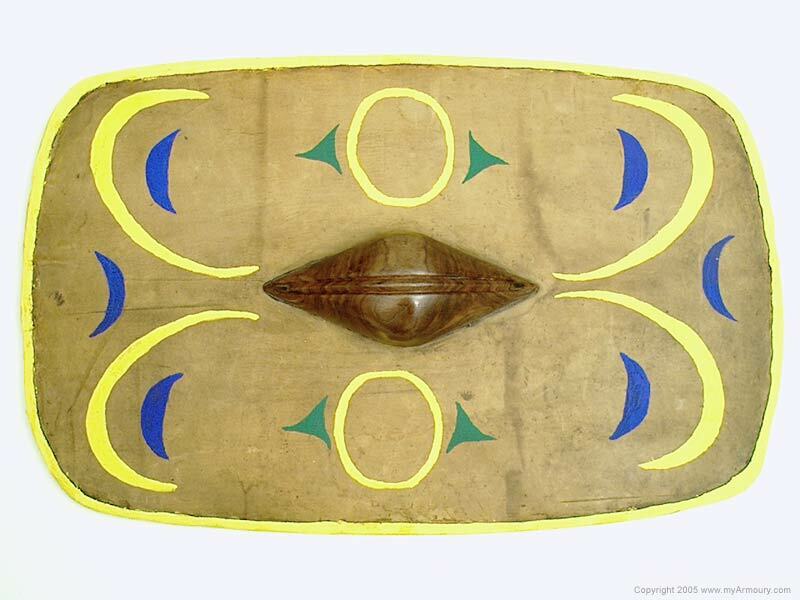 This shield is based upon one of the largest of 150 wooden shields in the Danish Hjortspring Bog find. 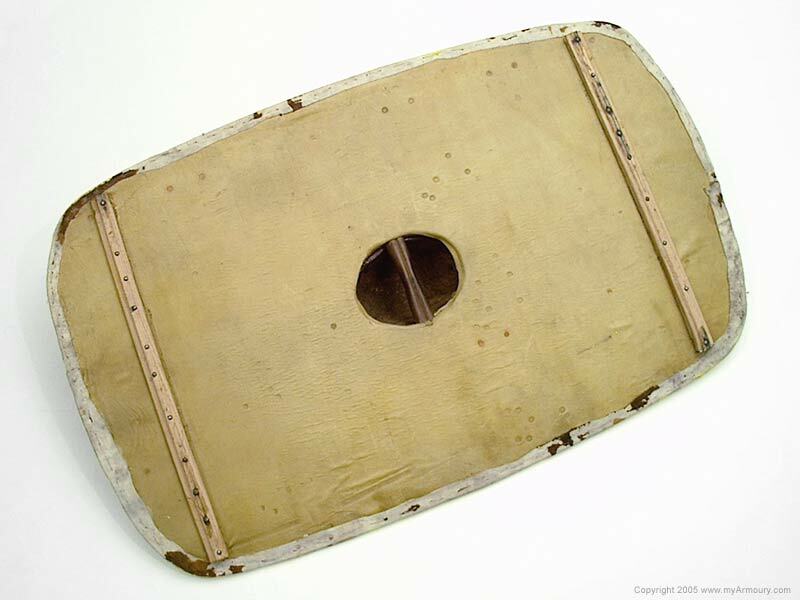 The original shields were constructed of European Linden, with an umbo attached by natural resin putty. They were found in situ with a number of spears, swords, personal items, and most remarkably, an entire boat. 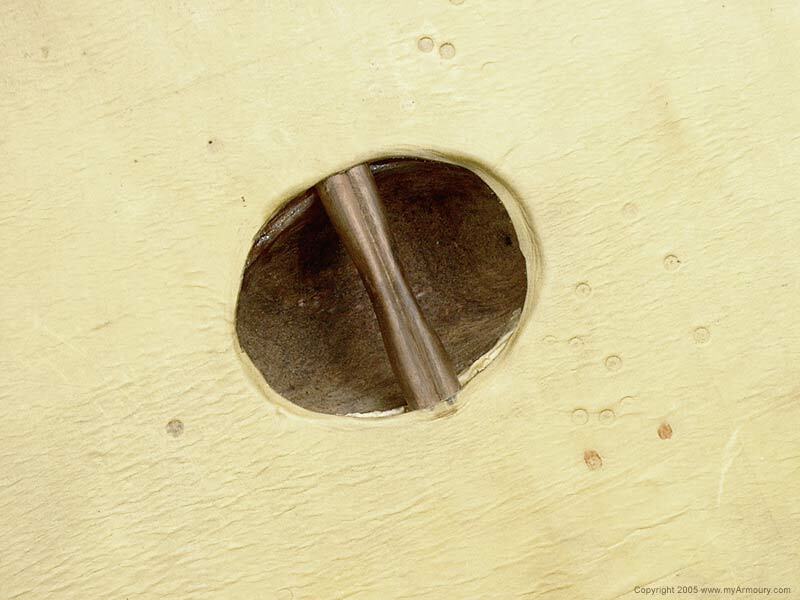 This reconstruction features a body of yellow poplar, which was a reasonable facsimile for European linden in density and general properties. The boss and grip are hand-carved from naturally harvested black walnut. 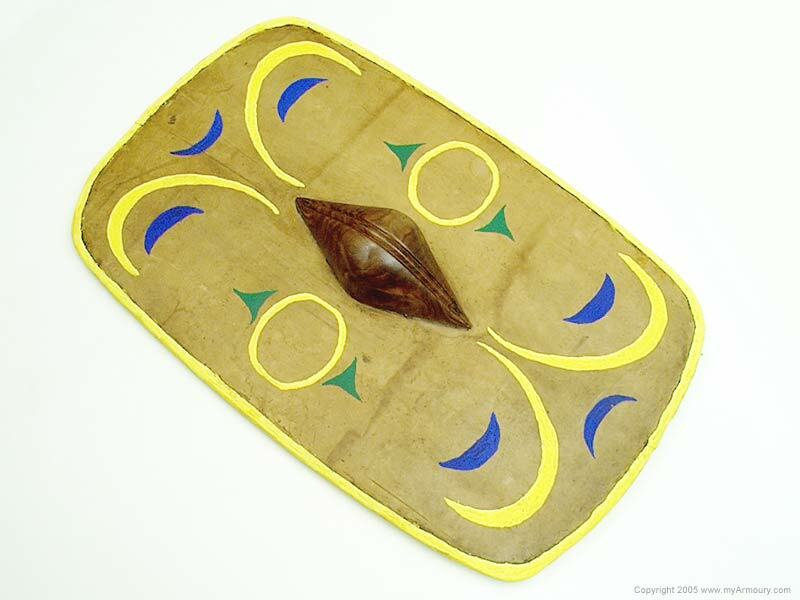 The shield is covered front and back with leather, and the rim is rawhide, stitched on with linen cord. The front has been stained with a natural brown walnut stain and painted with natural pigments.